For those following my blog, I hope you've figure out by now that my theme completely revolves around my love for everything geek. I'm a collector, a gamer and an artist. So naturally when given the chance to write a review for my fellow peers - I'll take it! We live, eat and breath geek in our house. So of course we've got a few tabletop games going. My husband is a huge trekkie. He's has been working on creating his own Star Trek RP for a while now. Fed-up with what was available, he instead opted to modify the rules for a Star Wars Roleplay called "Edge of the Empire". Its mechanics work great for what we like to do. 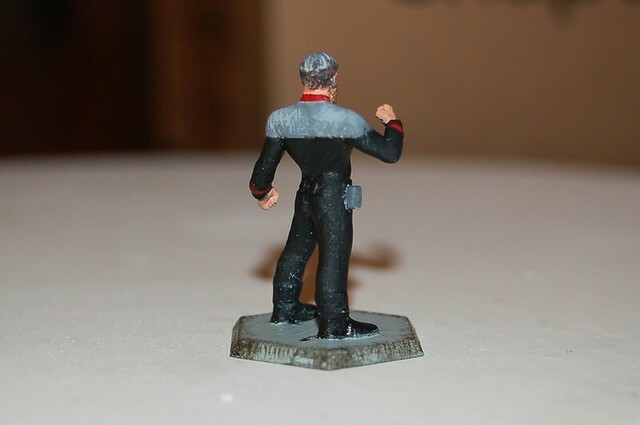 The one problem that we've run into, however, is that no major model company sells Star Trek related minis. At least, not in the TNG/DS9/VOYAGER universe. And the few things I've been able to find online are just not what we're looking for. Desperate to fix this, I looked into Hero Forge. 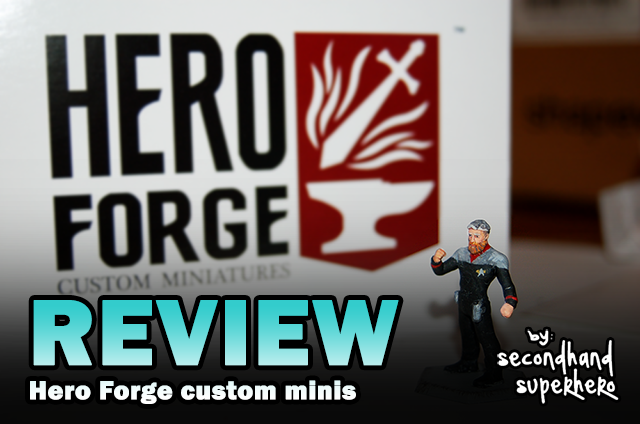 Hero Forge is an online website that lets you create a custom miniature. They come in a variety of sizes and materials. And the options for customizing are endless. You can choose from dozens of items, outfits, poses, facial features, races and even mounts! 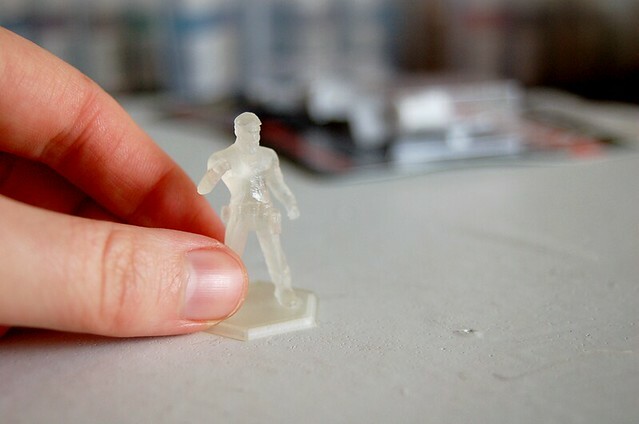 Once created, they'll 3D print your creation in partnership with the 3D printing company Shapeways, and in a few weeks you'll have a brand-new miniature ready to be painted and played with. 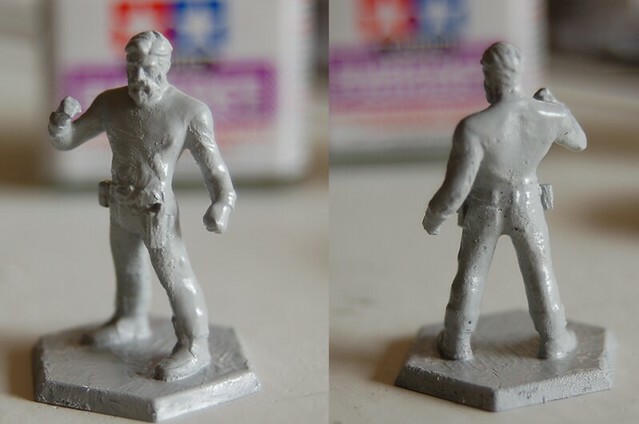 Because of Hero Forge's amazing software, I was able to render it to look exactly like my husband. I maxed out the height at 30mm, so that I could have as much detail as possible. 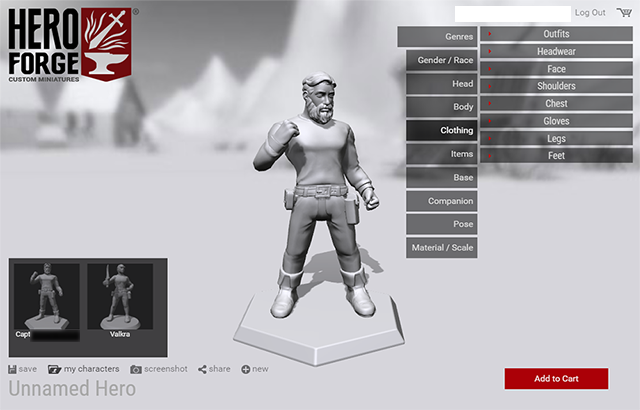 Hero Forge gives you the option to select the pose and even base. 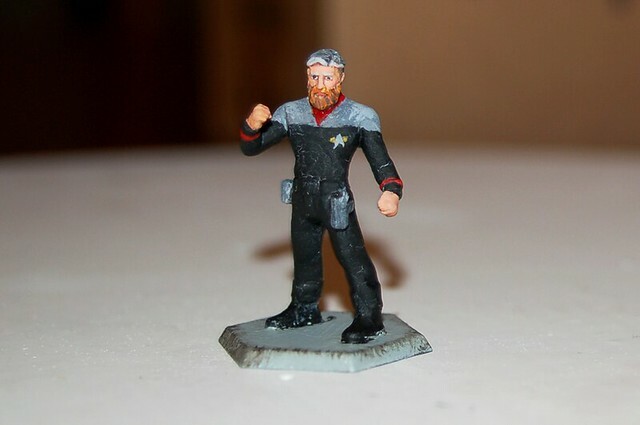 Since his character is the captain of the crew, I opted for something befitting of a leader. I also selected a hex shaped base, since our play mat is hex sized. Spend the extra bucks and get the Ultra Detail plastic. Probably the biggest and only real complaint I have is the cost. When it came time to purchase, I bought the more expensive of the plastic options. Reading reviews online I saw almost unanimously that it's worth it to spend the extra ten dollars for the Ultra Detail plastic. Ultra Detail 30mm miniatures start at $24.99 with shipping costing me another five. In total, this cost me $30 just for the miniature. Expensive when compared to the price of signature miniatures by Reaper and other brands. However, for a once-in-a-while splurge I think it's worth it. My 3D Printed Mini - identical to what was ordered. While many hobbyists like to use spray on primers or forgo it all together, I got some great tips online to instead use a brush on primer. I went to my local hobby store and opted for Tamiya's Liquid Surface Primer. This one acts similarly to Plastidip. There's no room for error. Once it starts to dry, any messing with it and you'll get some gummy layering. I tried to paint it on thick in the clothing areas and as thin as possible where I wanted the ultra details to show through.You can also mix in a touch of lacquer thinner with the primer in areas where you want more detail to show through. I did so in the face and beard (see below). Above you can still see on the chest, thigh and back pocket where the texture still display a faint amount of the 3D Printer layers. However, once paint was applied, this all but disappeared. I had a hard time getting the paint to adhere to the base, and realized a bit too late I should have given it a fine sanding before priming. The final completed Hero Force mini. Here you can see a close shot of the model. The details still shining through. Using a brush-on primer really smoothed down the rough "grittiness" of the 3D printed plastic. I used Testor's Dull Clear Coat to finish the model and gave the paint job it's final seal. I did two coats just to be safe. In these photos, the paint appears to be cracking, but it's just the reflection from my camera's flash. The actual texture is really smooth and perfectly dark. Top Notch. I had an issue right after ordering and emailed them almost immediately. I got a reply within twenty minutes. They were super friendly. Their website states 2-4 weeks shipping time. I've heard some people have gotten theirs quicker but mine took about 3 weeks to arrive. Since it has to go through Shapeways, it takes some time. It was well packed and there was no damage. I had a really great experience with my mini. No fragility, something that is often complained about. Again, cost. 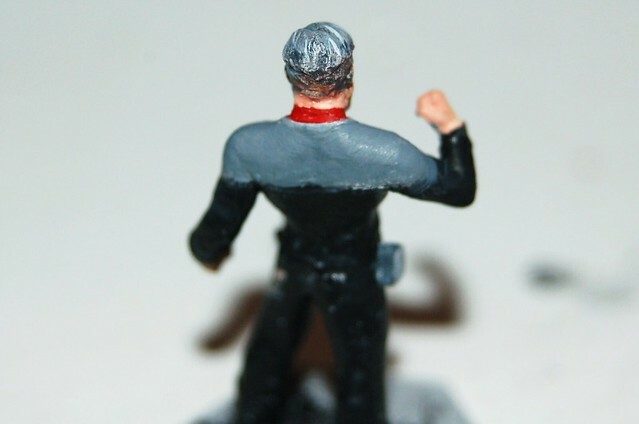 This is not a cheap means for creating miniatures for your tabletop game. But paired with a special occasion (like my husband's birthday) I found it worth the splurge. Especially for how well it came out in the end. 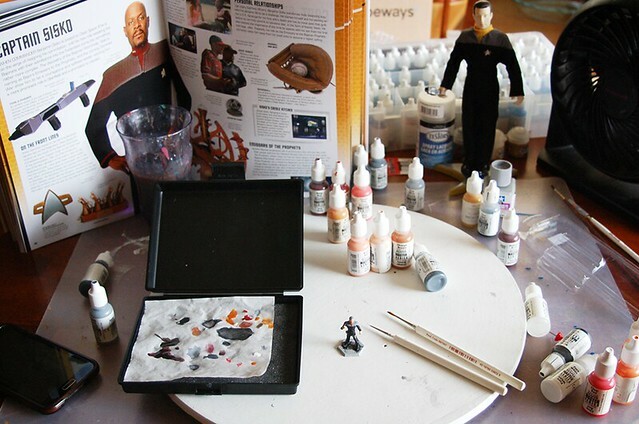 Have you ever painted any miniatures for any games? Please feel free to share any experiences or tips you have in the comments. Thanks for reading! Waiting for my order of four figures for myself and the other three members of my Champions party to come in. I splurged for the premier plastic, and I'm hoping that the details come through. Your model looked pretty good. Keeping my fingers crossed!!! I'm Stephanie. Adventurer, artist, cosplayer and gamer. I love old things and black cats. Welcome!